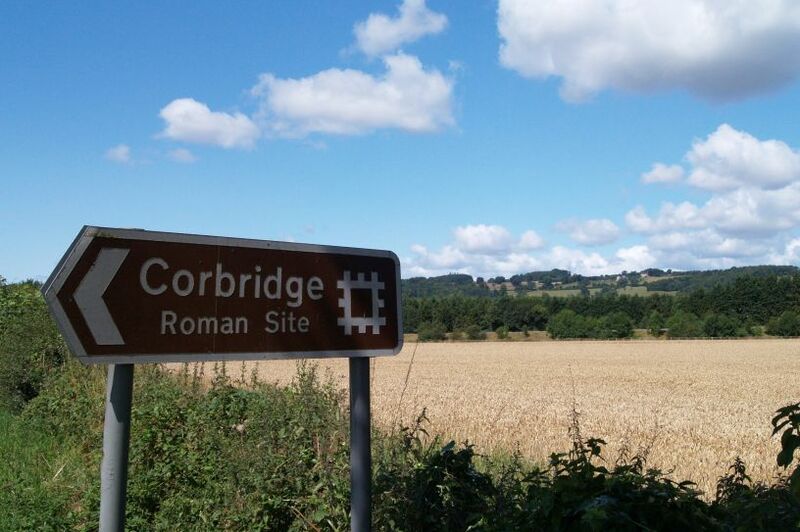 Corbridge Roman site is set just west of modern day Corbridge high above the north bank of the River Tyne. 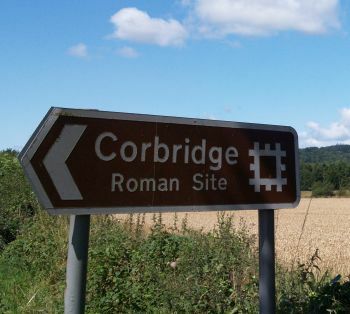 Corbridge Roman town is close to the intersection of the Roman roads known as Dere Street and Stanegate. 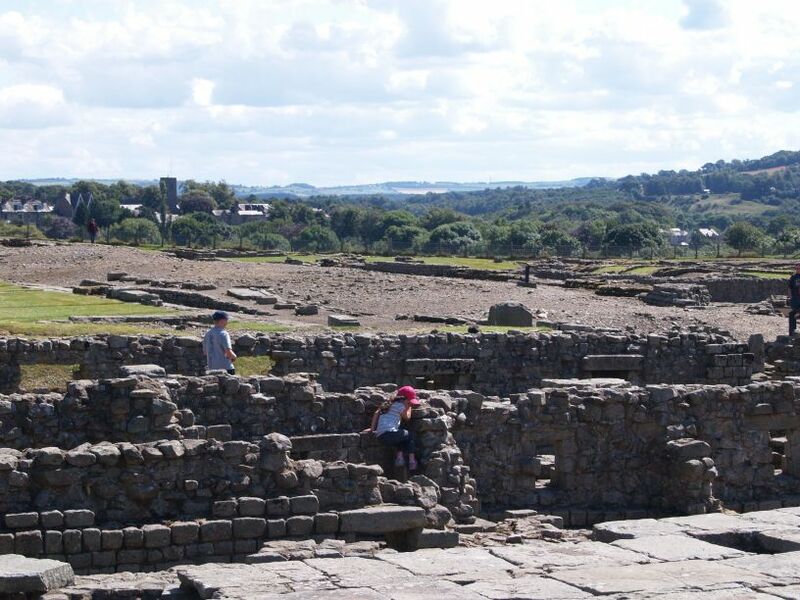 At first Corbridge was the site of an important fort but after Hadrian's Wall was built Corbridge became an important and prosperous garrison town, but like most Roman towns, it was abandoned in the early 5th century AD when the Romans left Britain. 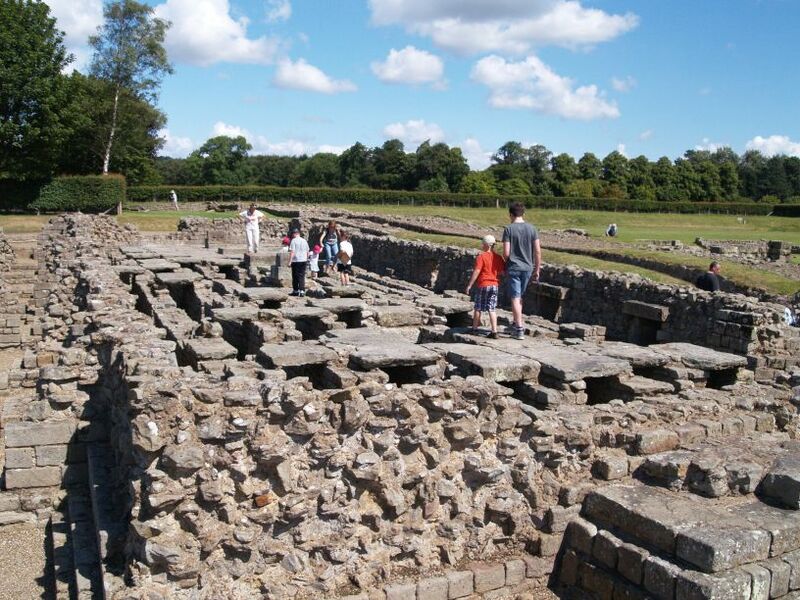 The Roman site of Corbridge has a good little museum of many exhibits and artefacts illustrating many aspects of Roman life. 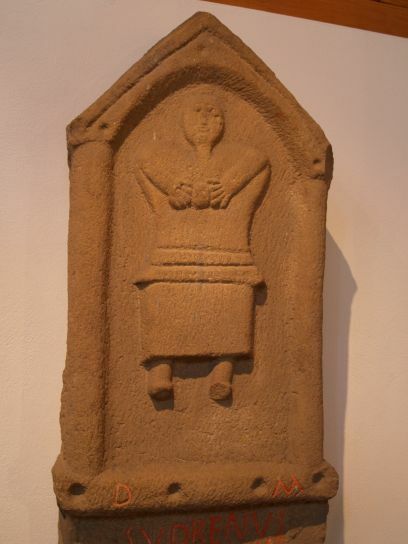 Corbridge Roman Site Museum: Left: The tombstone of Vellibia Ertola who "lived most happily for 4 years and six days". The full figure of the girl is simply depicted within a gabled niche, holding a ball, perhaps one of her toys? Right: A carving of Hercules and Hydra, depicting the second of Hercules's twelve Labours, here attacking the Hydra- a serpent with snake headed tentacles. 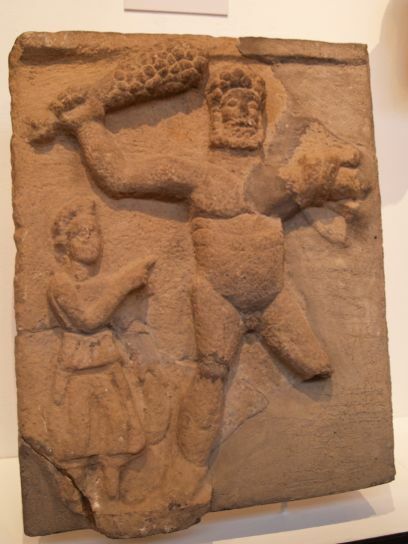 Corbridge Roman Site Museum: The influence of eastern religion is shown in this stone carved relief. It depicts 'sol' the sun god wearing a crown of rays, riding a winged horse towards colonnaded buildings occupied by one of the Dioscuri (the Heavenly Twins). A tree and Apollo (god of light) stand at the right. 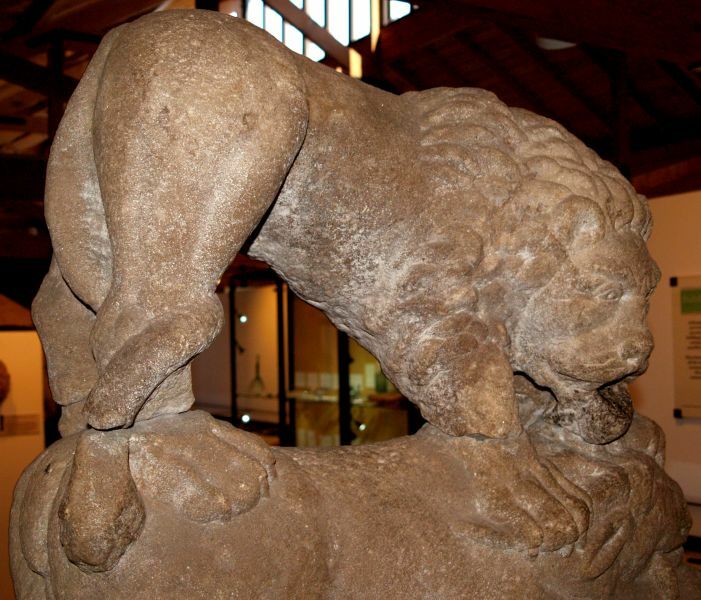 Corbridge Roman Site Museum: The Corbridge Lion is the most impressive sculpture found at Corbridge. 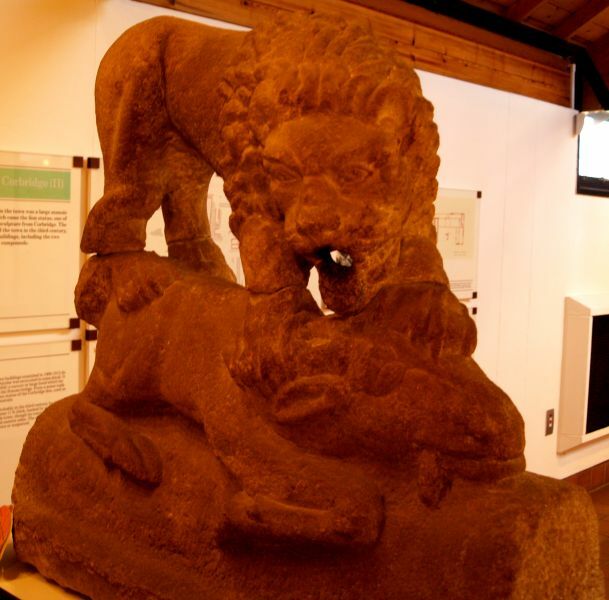 Corbridge Roman Site Museum: The Corbridge Lion depicts a lion standing on the back of a captured goat or stag. 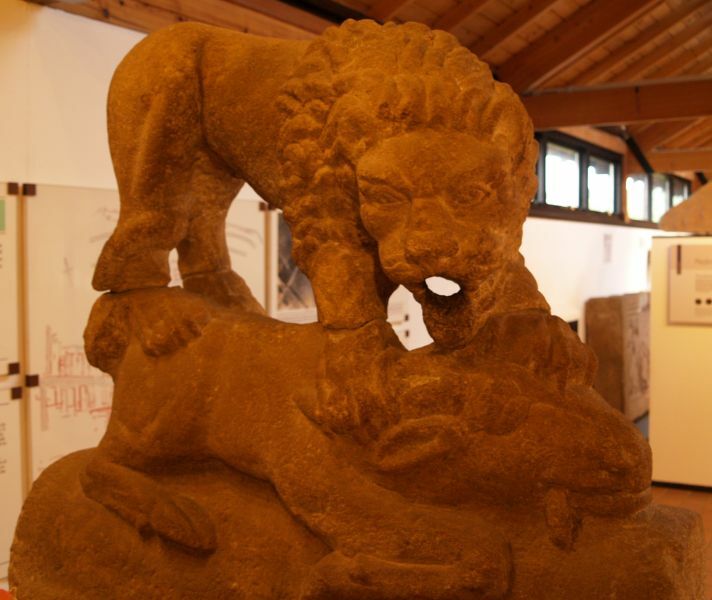 Corbridge Roman Site Museum: The Corbridge Lion was later reused in a fountain as a hole was made right through its mouth. 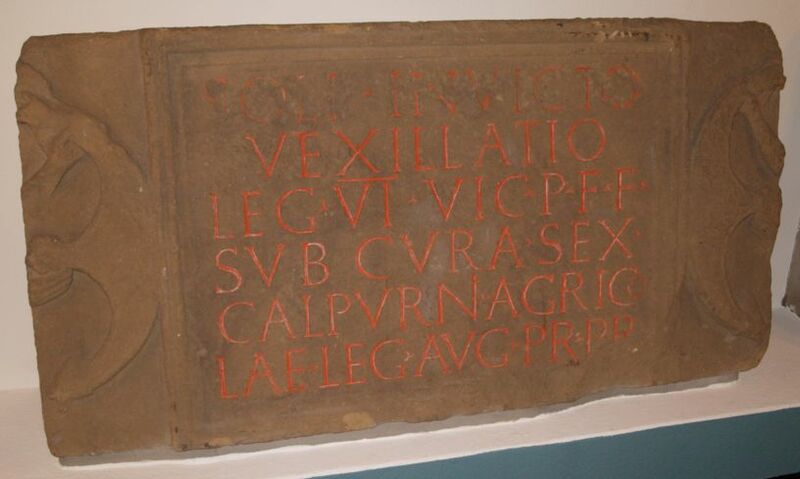 Corbridge Roman Site Museum: The stone inscription is dedicated to 'Sol Invictus' by a detachment of the Sixth Legion. Sol was an eastern god whose worship spread throughout the army from the 1st century AD. Part of the flooring is intact with their supporting stones. 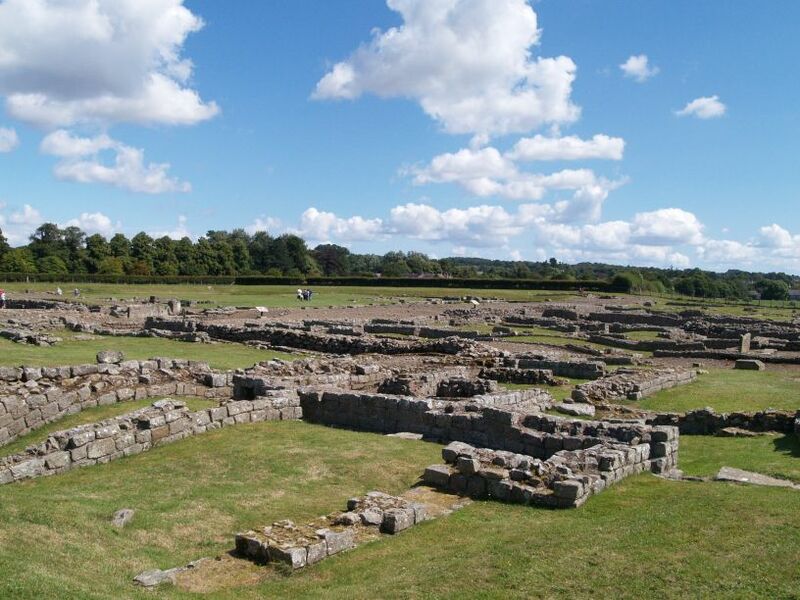 A broader view of the Corbridge Roman site. 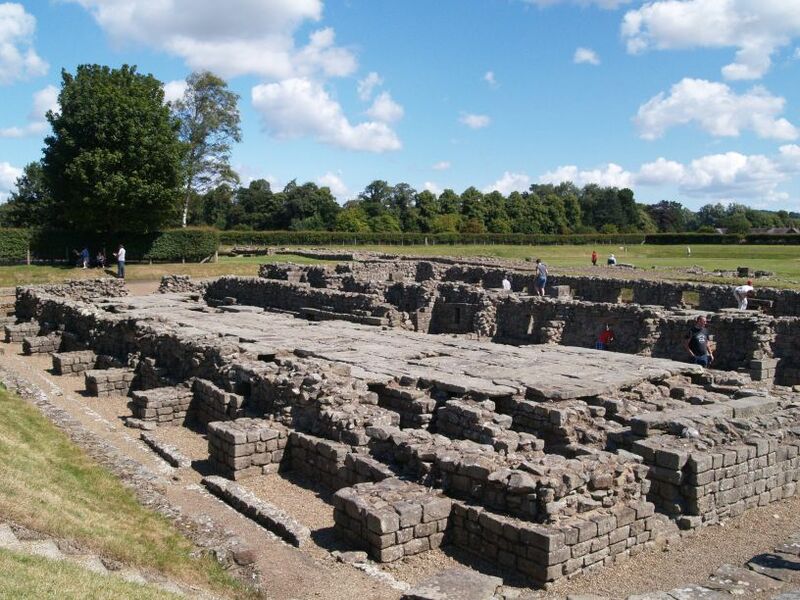 At Corbridge Roman site you can actually walk along the original surface of a Roman 'high street' flanked by the excavated remains of the granaries, markets, workshops and temples. Looking east towards modern day Corbridge - in the distance is the spire of St Andrew's Church and down in the valley on the right, but out of site, is the River Tyne. 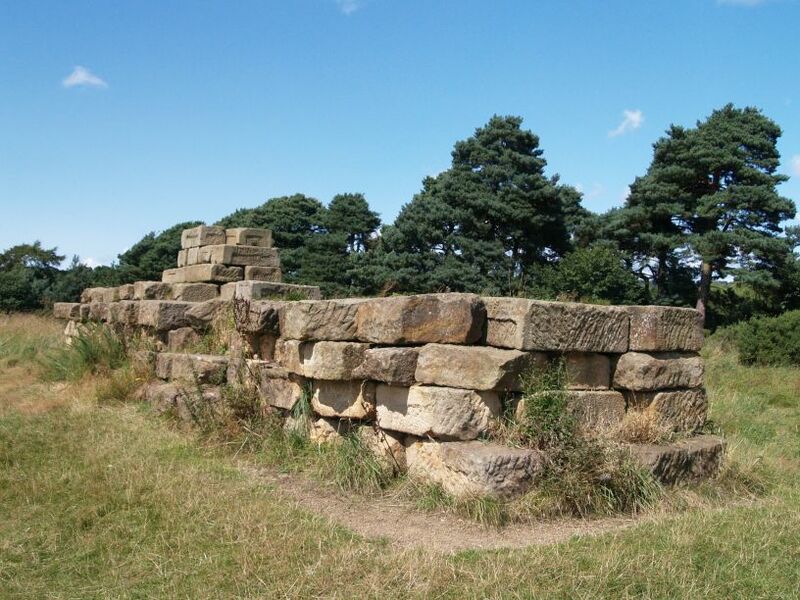 Across from Corbridge Roman site, on the south bank of the River Tyne you can see the last remnants of the stone ramps that supported the road upto the Roman bridge across the Tyne to link up with the Roman town of Corbridge. 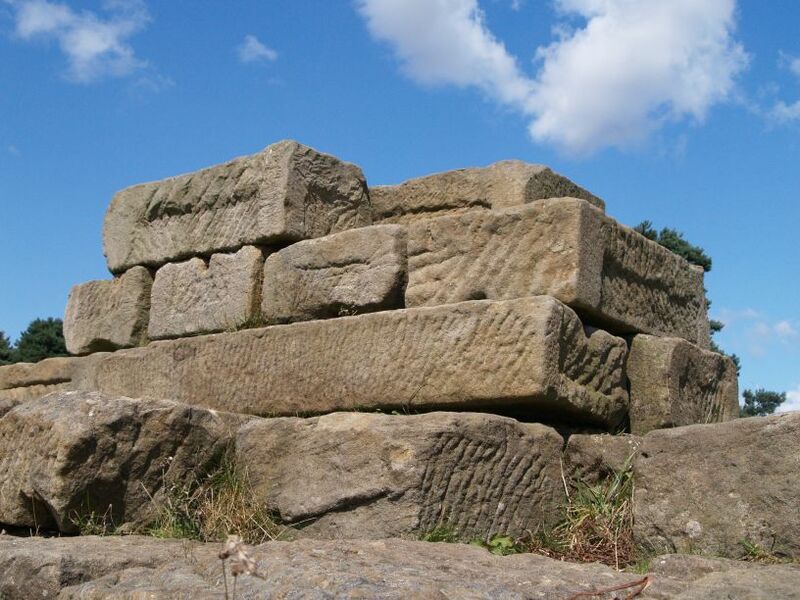 You can still see the marks of the Roman stone masons working the blocks into shape.